I keep an eye on several mainstream “little magazines” (though this one is quite big) that are hospitable to SF. Conjunctions:71: A Cabinet of Curiosity features stories about curiosity – which is, after all, one of SF’s central story-generating characteristics. 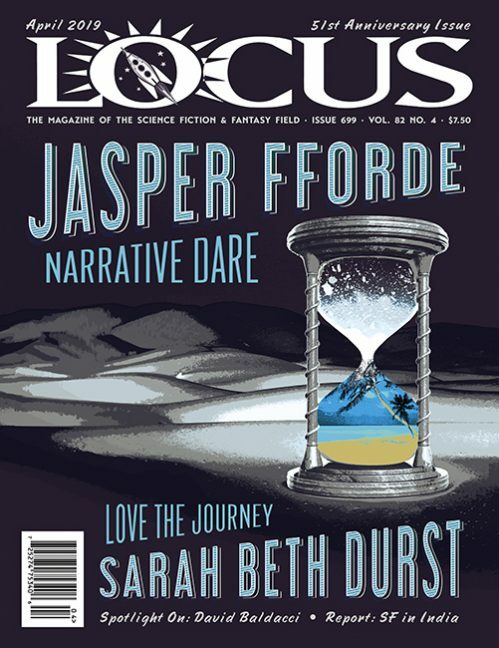 There are several pieces by SF writers, fantastical and not, including a brief mem­oir by Samuel R. Delany about the real-life person behind his fine story “Night and the Loves of Joe Dicostanzo”. I think my favorite story came from Gregory Norman Bossert, “The Empyrean Light“, about a schoolteacher who notices a dead crow and, prompted by another crow, tries to find a respectable way of disposing it – leading in the end to something transcendent. 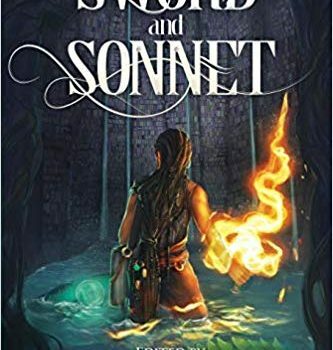 Sword and Sonnet is an anthology devoted to “women or non-binary battle poets,” possibly a bit too specific a remit for a book, but still one that has engendered some impressive stories. Best here is “As For Peace, Call It Murder” by C.S.E. Cooney. This is SF, not usually Cooney’s genre, but it’s strong work, about Quatromanni, a singer of protest songs against an oppressive regime. The story is told long after her death, when she is remembered as the War-Ender, even though she was captured and had her tongue cut out by the regime. Her songs lived, though, and how they lived is what makes the story. 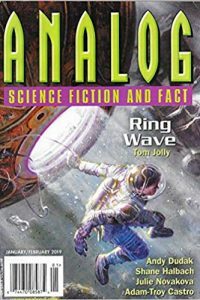 Ticonderoga Press in Australia has published (over) 50 books now, and in celebration we have an anthol­ogy of longer stories, Aurum. I loved the story that closes the book, “Beautiful” by Juliet Marillier. This is a variant look at “East of the Sun, West of the Moon” from a different angle. It’s told by the troll princess of the story, who grows up in the shadow of her mother’s rage and ambition, her only friend a bear who comes to her every three years to tutor her. She feels that she is in love with the bear, but when she is 16 she is to be married to a man she’s never met, the Prince of the Far Isles. 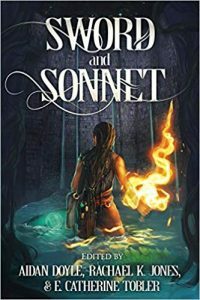 She must find it in herself to take control of her own story – and her own beauty.